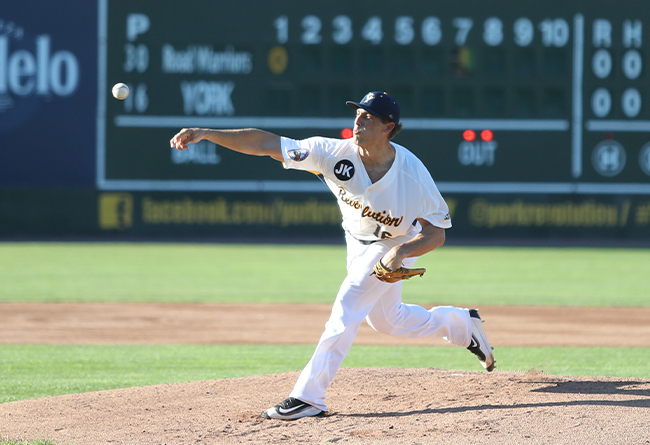 (York, Pa., March 20, 2019) - The York Revolution has announced the return of Atlantic League All-Star starting pitcher Mitch Atkins and relief pitcher Josh Judy, while adding infielder/outfielder Justin Trapp to the lineup. The signings were announced by Revs manager Mark Mason live on Tuesday evening’s episode of “Revs Hot Stove Weekly presented by Shipley Energy” on SportsRadio 98.9 FM & 1350 WOYK. The Revs now have 20 players under contract for the 2019 season and will unveil more signings live during the next episode of “Revs Hot Stove Weekly presented by Shipley Energy” on Tuesday, March 26 at 6:30 p.m. immediately following “The Baltimore Baseball Show” on SportsRadio 98.9 FM, 1350 WOYK AM, 989woyk.com, and The New WOYK app.